Countdown in Email - The Perfect Tool to Set Counters Ringing! Countdown Timer in Email – The Perfect Tool to Set Cash Counters Ringing! August 19, 2016 | -by: Kevin George. Great way to show time and also stay cool. Email Marketers are under constant strive to capture the attention of the subscribers and motivate them to take action with innovative CTA messages, Clever preview text or lucrative offers. But nothing beats the feeling of getting left out, using countdown in emails as a tool for gaining significantly highly CTRs. 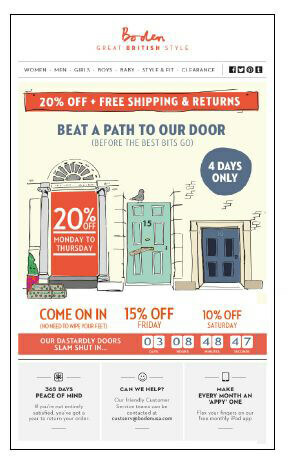 Adding ‘Limited stock’ or ‘Hurry up’ headline along with a countdown timer are proven strategies that help boost sales. 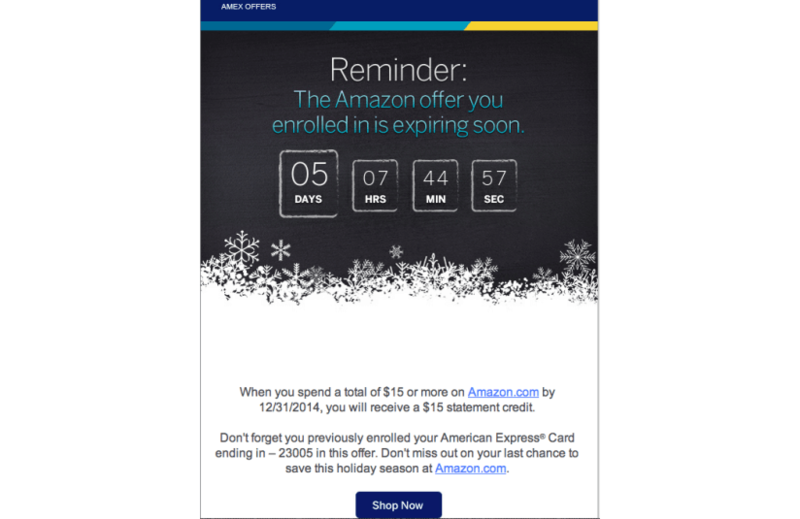 Countdown in email generates a sense of urgency and excitement amongst the subscribers. It lets your readers know the amount of time left for your next big sale to begin. Form an enthralling limited period live promotion – Reminder emails backed with countdown can be used to inform the readers about the time left for the offer to end. Countdown in email can also be used to create curiosity and excitement among the attendees of an event or pre-launch for your next big product. 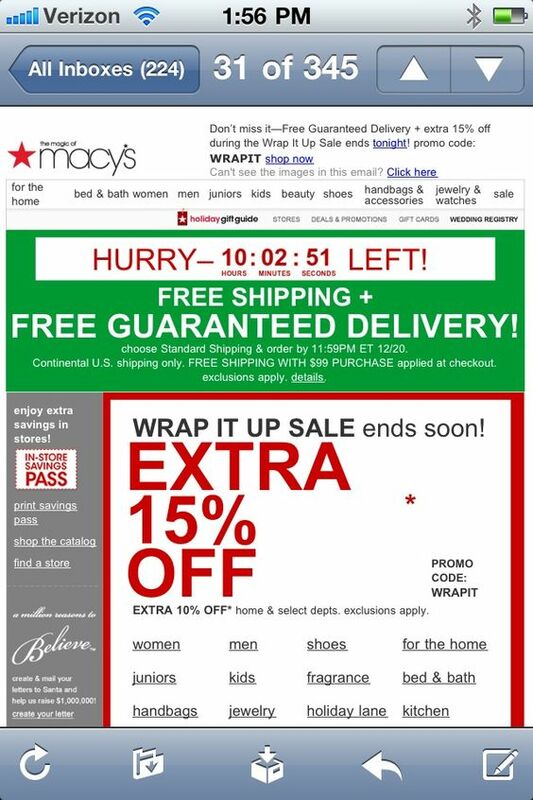 Countdown timer in emails works great for ecommerce websites. 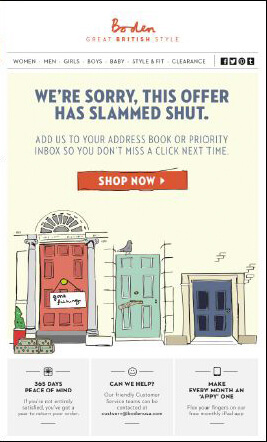 You can boost sales by offering limited period discounts on different products through emails. Event companies can send reminder to the attendees about the event. Banks while offering a limited period loan offer to customers can show the validity of the offer. Automobile industry can send emails with countdown before the launch of their new car. Retailers can inform their readers about the expiry of the abandoned products in the cart. Click Here if you wish to be blessed with this countdown as a sample email. 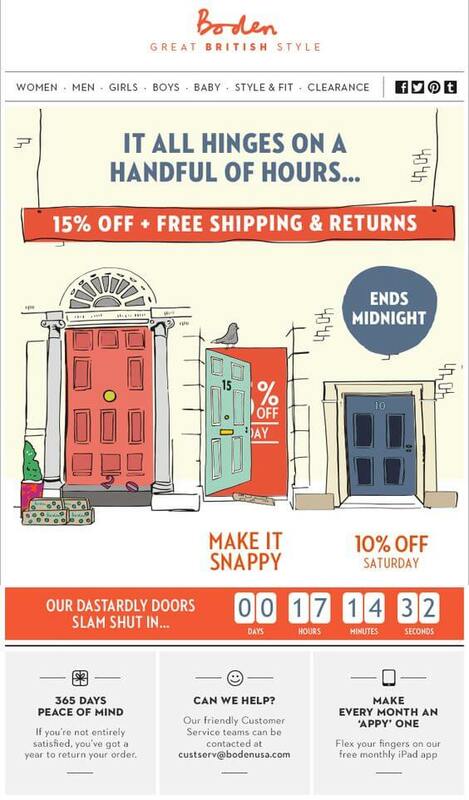 With less than one day remaining for end of sale, the first door closes. The email at the time of end of sale. Not satisfied your thirst for countdown in emails? Here is some more. Learn more of the interactive email elements that bring out the zing in your emails. What is your experience for using Countdown in emails? Spread the word in the comments below.